Click on tab «Documents» above for datasheets with full specs and images for the various TrueZeroTarget models; Individual, Range and OEM. 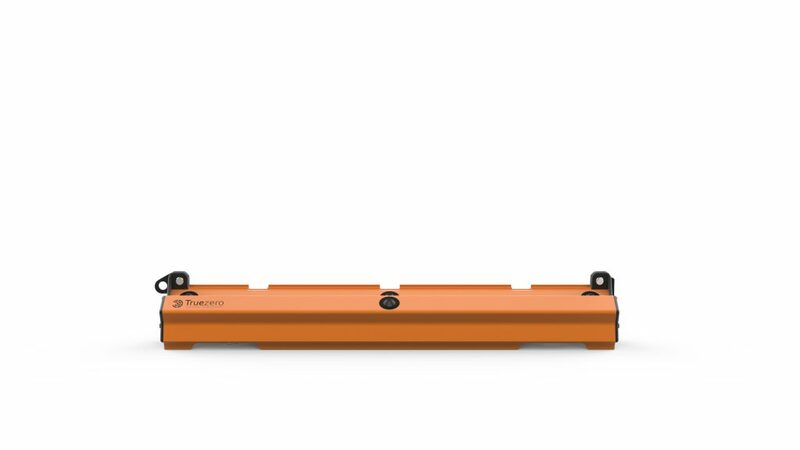 Place the TrueZeroTarget® sensor bar on a tripod or ground attachment. Aim it at the shooting position, insert the target face in the target holder, turn it on and connect your tablet, smartphone or PC via the built-in Wi-Fi. That’s it! You are now ready to shoot and view bullet speed and hits displayed on the screen. No wiring, target lifters, pit, internet or phone signal or any other infrastructure required. Perfect for the individual shooter or a club wanting to install an electronic sight-in target. The battery lasts for a whole day of shooting. Easily deployable as a personal target or sight-in target on an existing range with paper or electronic targets. The TrueZeroTarget’s built-in Wi-Fi connects with your tablet or smartphone just like the router back home. You don’t need internet or cell phone signal to connect with the target’s Wi-Fi. 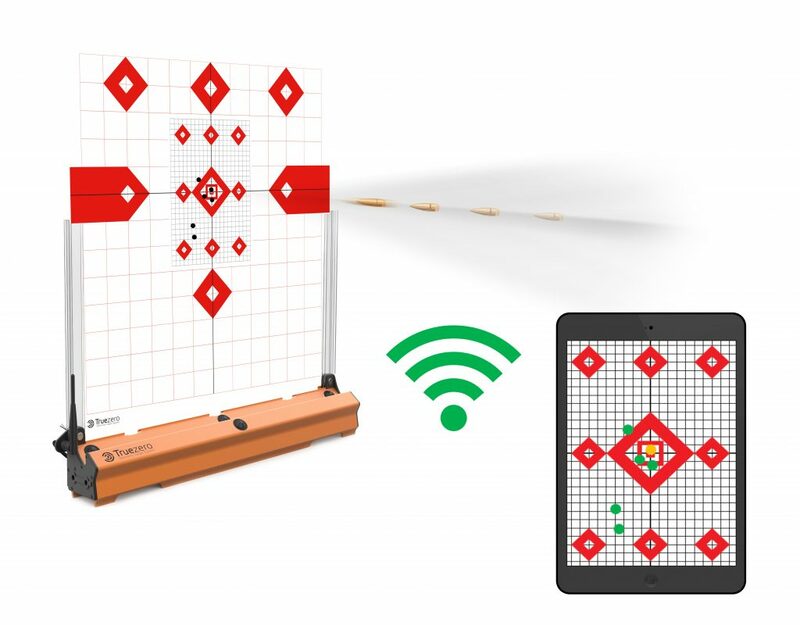 Wi-Fi range with the supplied standard antenna is 2-400m line-of-sight for most tablets. 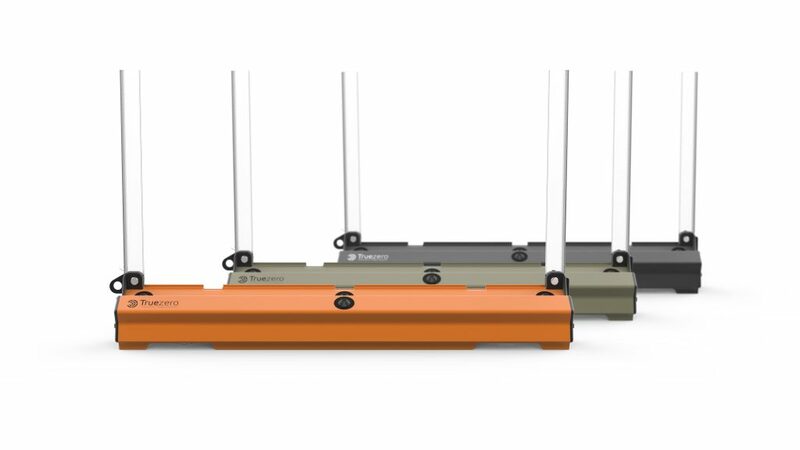 Range can easily be extended to any distance by means of access points or low-cost high-gain antennas. 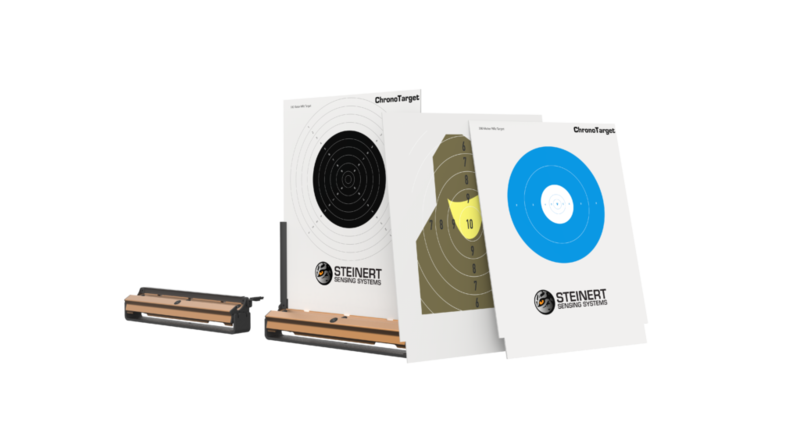 The TrueTeroTarget® acoustic LOMAH (Location Of Miss And Hit) is equally suitable for indoor shoot houses, shooting tunnels or outdoor shooting ranges. The detecting window can be set to the individual target or the whole detection area. This gives unparalleled flexibilty for designing everything from short-range multiple target configuration to extreme long range single target setups. Individual shot locations are accurate to 3mm at the center of the target. This is far better than you can aim with a scope with 1cm clicks at 100m. It far surpasses the requirements set by the International Sports Shooting Federation. 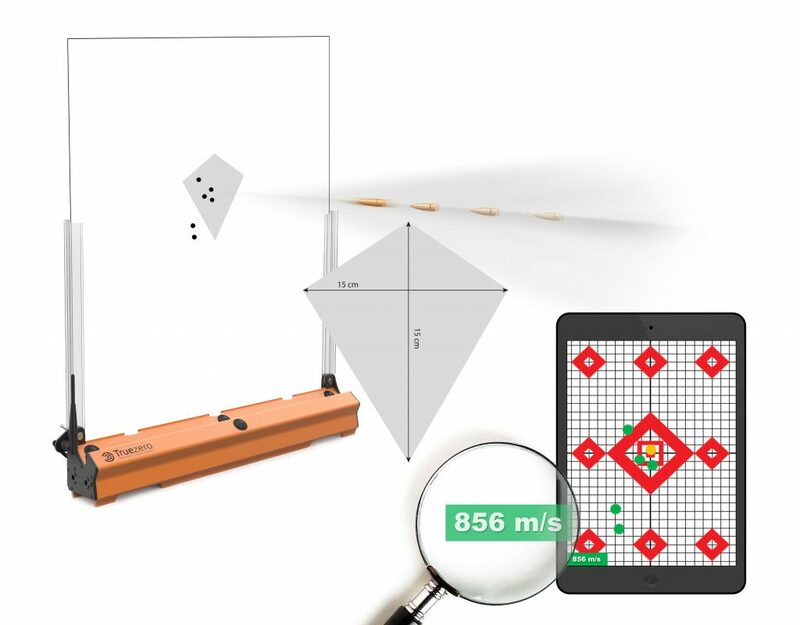 ISSF requires an electronic target system to score shots to an accuracy of at least one-half of one decimal scoring ring. For the 300m rifle target the 9-ring is 5cm wide with required accuracy of 2.5cm. The TrueZeroTarget is with its 3mm accuracy 833% better than required! The speed capture area returns bullet velocity at the target with 1% accuracy. You’ll get shot location and velocity data for supersonic bullets at any distance. You can set your elevation turret with full confidence in a hunting situation. It’s a little know fact: The closed acoustic systems commonly used for competitive shooting display hits relative to the target center as determined by the sensors and not according to the actual target face. As a consequence your gun’s zero is not the true zero you would obtain on a paper target. It may actually diverge by several centimeters. This is of no consequence to a target shooter who scores hits relative to the screen representation of the target. For you as a responsible hunter on the other hand, you need the confidence of a true zero. TrueZeroTarget’s acoustic LOMAH (Location Of Miss And Hit) technology displays true rifle zero and true target face position of hits. LOMAH is the preferred technology for armed forces for live-fire training. TrueZeroTarget® now offers this advanced technology to hunters in a very convenient and affordable package. Any target face can be printed on 5mm corrugated plastic and used with the built-in target holders. If the current bulky and infrastructure-demanding line-up electronic targets have been holding you back you now have no reason not to make the transition from paper to e-target. The TrueZeroTarget® plug-and-play e-target starts at only €3 490. The LOMAH system can be configured to almost any requirements for target size, communications, power, detecting windows, accuracy and rate of fire. The TrueZeroTargets customization options make it suitable for regular ranges or to be used with pop-up SIT or SAT, stationary infantry or armory targets. These targets may be used for infantry live-fire training or for air-to-ground fire. The TrueZeroTarget is ITAR free and exportable to most countries of the world.